This epic Polish restaurant/grocery store recently celebrated its 30th anniversary. 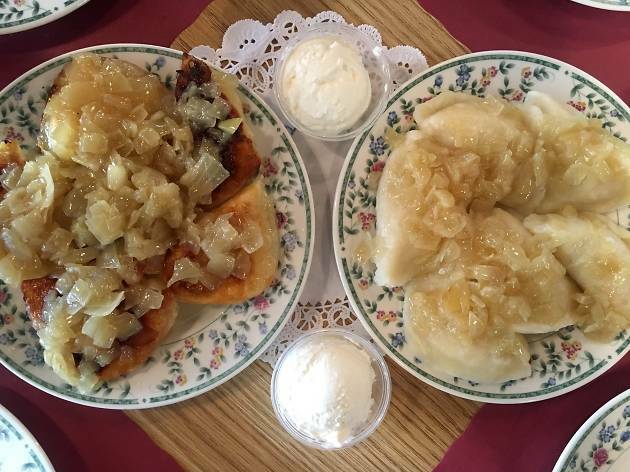 From the Polish greeting card selection to the freezer bursting with to-go pierogi, this Port Richmond gem is a sure-bet when you’re in the mood for Eastern European staples imported straight from the source or a hearty meal of soul-warming goodness. 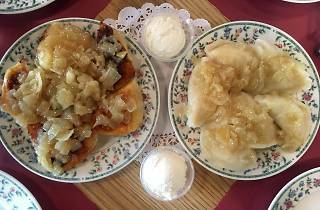 You can’t go wrong with the piping hot kielbasa or flaky housemade pastries, but the fried pierogi will absolutely rock your world—or at the very least put you in a state of food-coma bliss.